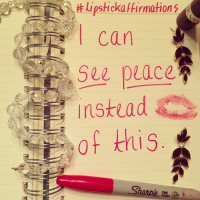 Lipstick Affirmations: Wearing 1960s Floral Print Because "I Can Let Go Without Losing Out"
In this video I discuss why we must LET GO and recognize that we are not LOSING OUT in order to follow the compass that is our inspiration. Please tell me what you are “letting go” of in the comments below! LET’S LET GO! 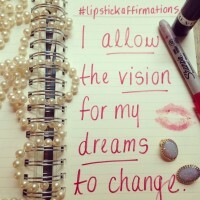 Today’s #lipstickaffirmation, “I Can Let Go Without Losing Out,” can be found here. 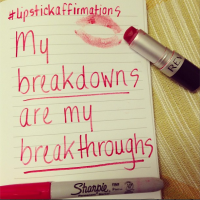 << Follow me on Instagram to recognize your #powerwithin. 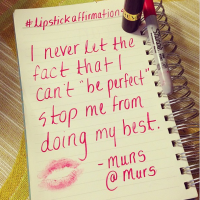 << Follow Lipstick Affirmations on Tumblr. << Follow me on Facebook. << Subscribe to my newsletter here. Dress purchased from Shareen Vintage with Sara, former editor of Bib & Tuck! 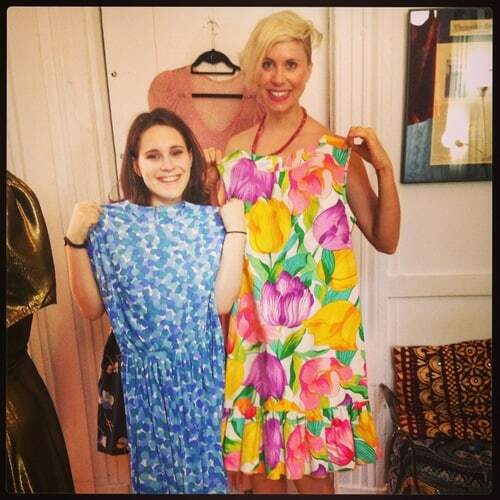 Read her blog post about our shopping adventure at Shareen Vintage here. Sara, thank you for spreading #vintagelove with Sammy Davis Vintage and for shining your light #within! When you let go of what no longer serves you, you become free to be the person that you want to be now. You are not not losing out when you can gain clarity and perhaps discover that the life you’ve been looking for may have been there all along amongst the mental static, the clutter and the false starts.